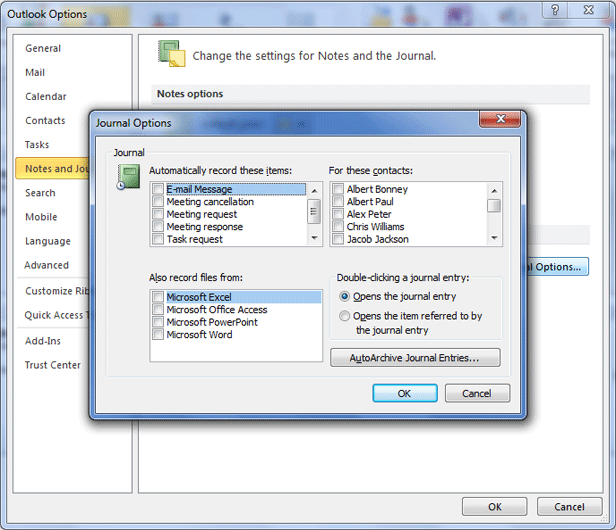 Journal plays an integral role in MS Outlook. A specific journal folder is created in MS Outlook which role is to keep record of actions automatically. It maintains the record of specific contacts and put the action in a timeline view. 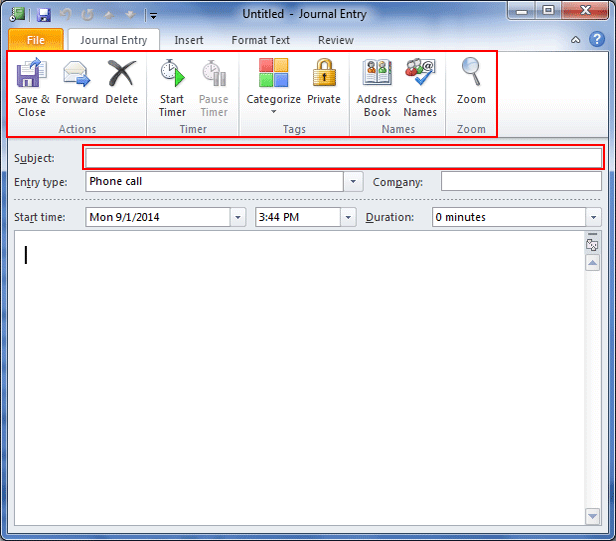 Users can use journal to keep a record of any interaction that they want to remember even if it is not located in the PC such as a phone conversation. Open file tab then go to options -> locate Notes and Journal -> in Automatically record option select all the times for which you want to create journals. Select contacts that you want to include in journals and you can do it under "For these contacts". In the Record File tab, select the program to be recorded as a file. In the Home tab, follow a module in Outlook. Select new items from New Group and press the tab others. 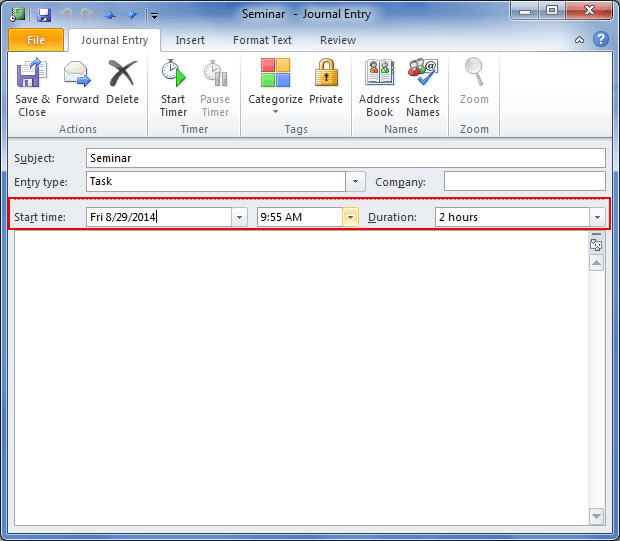 Now select Journal Entry and in the given boxes fill the details. In the subject box, provide the desired description and in the Entry Type box select the entry for which recording will be performed. You can add more options like time, duration, etc. Locate a file to record properly. You can use Windows Explorer or Outlook to locate a file. Drag the item to Journal that you want to record. Now, follow journal entry! 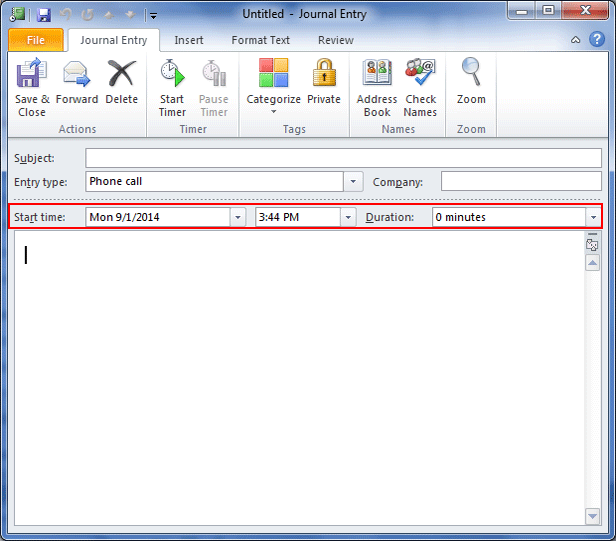 Recording Date/Time for Contacts: In the Contact tab, locate Communicate group and then Journal Entry. The header will display the time and date that can be changed. Select the time from the drop-down menu and duration. In order to maintain the time and date as per your requirement, Start Timer and Once the time is recorded that you worked with contact, pause the timer. The actions will be recorded after pressing Save & Pause tab. Go to Timeline view to locate current view group in the journal. Then, View Settings, select columns to select all required journal fields and frequently used fields. Set time for fields for which journals are created. Enter the start time and then the end time. In the timeline view, the changes can be seen. In Journal entry, you can change the start and end time by removing the existed number and adding up a new number for the date scheduled. You can turn off a journal. Under the File Tab, go to Options and then Notes & Journal and the Journal. In the Automatically record, clear all the marked boxes from entire record files. For multiple entries, press Ctrl and click. For adjacent entries, select the first one and with shift, you can select all. As you select, go to Home tab and press Delete tab for all selected items. 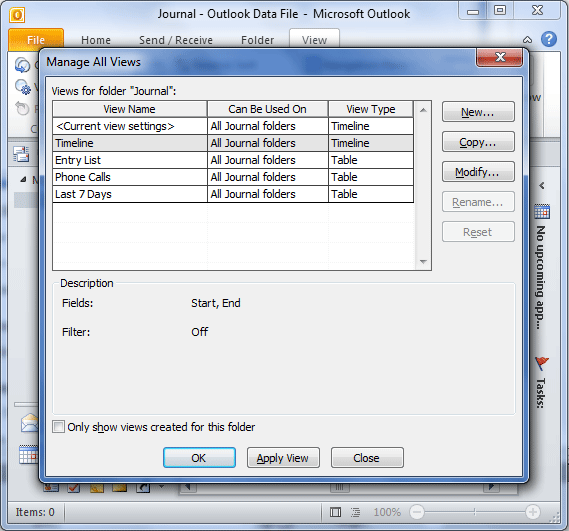 Conclusion: Journal is a crucial feature in MS Outlook which keeps the record of your data. You can bring modification and deletion as per your choice.